The Geller Center is thrilled to share our new logo and updated website! 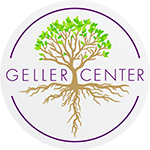 The new logo reflects the Geller Center’s commitment to supporting young adults in growing the strong roots they need to flourish in the world. Our updated website shows the impact that our young adult leaders have in building community and creating positive change in the world. We would like to extend a sincere thank you to Madwire for donating their time and talents to make this possible.